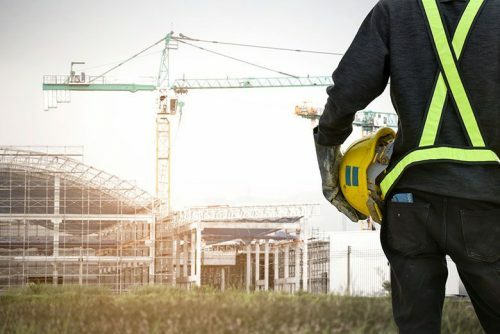 A recent survey by the National Safety Council (NSC) found that 58 percent of construction workers in the United States feel that productivity and completing job tasks are prioritized over safety in the workplace, according to occupational safety writer Sandy Smith in an EHS Today article. Perhaps even more shocking is the fact that the same survey reveals that 51 percent of construction workers claim that management is only concerned with meeting bare minimum safety requirements and 47 percent report that they fear reporting safety issues at work. For students pursuing a bachelor’s degree in occupational health and safety, those numbers should inspire them to work toward a more effective culture of safety, especially in industries such as like construction or manufacturing where safety concerns are high. Companies have a responsibility to produce results, meet deadlines and deliver products or services. As a result, safety requirements are often considered secondary to productivity. But many companies are beginning to realize that safety and productivity are two parts of a well-oiled, efficient machine. The productivity leg – Any major increase in productivity, or any addition of new technology or manufacturing methods, makes the productivity leg grow. As a result, the stool become unstable until the other legs can adjust to the change. If safety and quality suffer because productivity increases, a company will not survive. The quality leg – As a business expands and implements new services, employees will need to be trained and new quality standards enforced to ensure that productivity doesn’t overreach its capabilities. Quality can slip if safety and maintenance standards are not continually managed. The safety leg – Additional production capabilities, expanded training programs and a changing business model require new safety measures. Without the proper safety guidelines, a manufacturing enterprise could be in danger of closing because of safety violations or production of unsafe product. While production deadlines and quotas may seem to be more urgent than safety issues, the opposite is actually true. “Businesses that cut corners to save time and speed up production can often seem productive and profitable,” according “Is Safety Productive?” on SafetyLineLoneWorker.com. Downtime caused by safety incidents can severely affect productivity, especially in the construction business. Occupational health and safety consultants frequently explain to their clients how a better overall safety culture can help companies be more productive. Workers often share management’s views of productivity vs. safety. In fact, many employees are resistant to working safely, according to “Balancing Productivity and Safety at Work,” HRTechnologist.com’s article on the NSC survey. Cultivating a safety culture at a business, particularly in fields that deal with heavy machinery and dangerous situations, cuts down on safety incidents and downtime. It can also improve employees’ outlooks toward their job, making them happier with their work and more engaged while on the clock. Safe equipment is also well-maintained equipment, according to engineer Muddassir Katchi in his article, “Plant Workforce Safety vs. Productivity: Finding an Effective Balance,” on 360training.com. And better maintained equipment is easier to use and more effective at whatever it’s designed to do. A good safety culture, Katchi says, includes better training for workers and improved employee retention. Better training leads to more productivity, which can lead to promotions, raise, and fewer workers’ compensation claims. The growing concern with occupational health and safety in the United States means that more safety specialists will be needed to ensure that workplaces are safe and productive for everyone involved, from employees to customers and end-users. And safety in construction also affects those who will eventually live and work in newly constructed or refurbished homes and office buildings, or who commute on the roads. Eastern Kentucky University’s online bachelor degree in occupational health and safety program is designed to show students how to identify safety risks and potential areas of improvement in construction and manufacturing businesses. Industry-experienced safety professionals guide students through occupational safety courses, covering modern trends in employee engagement and the establishment of a safety culture in the workplace. For more information, contact EKU today.